Map of South Bound Brook in Somerset County. Inset: Location of Somerset County highlighted in the State of New Jersey. South Bound Brook is a borough in Somerset County, New Jersey, United States. As of the 2010 United States Census, the borough's population was 4,563, reflecting an increase of 71 (+1.6%) from the 4,492 counted in the 2000 Census, which had in turn increased by 307 (+7.3%) from the 4,185 counted in the 1990 Census. What is now South Bound Brook was originally formed as a town within Franklin Township. On March 16, 1869, the name of the community was changed to Bloomington, which lasted until May 29, 1891, when the name reverted to South Bound Brook town. South Bound Brook was incorporated as an independent borough by an act of the New Jersey Legislature on April 11, 1907, based on the results of a referendum held on May 1, 1907. The area was first settled in 1681 and a community was established near the Bound Brook stream of the same name, which flows into the Raritan River via the Green Brook on the eastern side of the borough. The brook, which was mentioned as a boundary in a Native American deed, provides the source of the borough's name. The area was originally a Dutch community with apple orchards and just west peach orchards. The Abraham Staats House (c. 1740), located on the south side of Main Street, served as the headquarters of Baron Von Steuben during the American Revolutionary War. The house today is privately owned. A wooden bridge over the Raritan River was erected as early as 1761 and named Queen's Bridge in 1767. Later, it became a covered bridge. During the Revolutionary War, the bridge was used repeatedly by both sides including during the Battle of Bound Brook in 1777. In 1875, the wooden bridge was replaced by a steel pipe truss bridge. More than 100 years later, that bridge was itself replaced by a steel girder bridge in 1984, still using the old pillars. The bridge was renovated and paved in 2007. At this spot in what on January 4, 1777, General Washington decided to move his troops to Morristown for the winter, thus ending the victorious Trenton-Princeton campaign, rather than attack New Brunswick. The Battle of Bound Brook, one of the battles in the New York and New Jersey campaign during the American Revolutionary War, occurred on April 13, 1777, and resulted in a defeat for the Continental Army, who were routed by about 4,000 troops under British command. At dawn on April 13, 1777, Hessian Captain Ewald's assault over the Queens Bridge spanning the Raritan River between South Bound Brook and Bound Brook was pinned down by "murderous fire" from the American soldiers stationed at half moon battery. Advancing North along present day Easton Avenue, Hessian Colonel Donop pushed aside American outposts and arrived 15 minutes after Ewald's attack had faltered. Advancing over the Queens Bridge, Donop's troops engaged the Americans causing them to retreat from the battery. Donop, Ewald's, and General Grant's troops pursued the American troops as they fought through the streets of Bound Brook. The Reformed Church, also on Main Street (near borough hall) was built in 1848 and has been declared a local historical site by the borough council. Originally called the Dutch Reformed Church of Bound Brook, it has gone through very few changes over the years. A pipe organ received from Andrew Carnegie has been removed, and the stained glass windows, which had been added well after the original construction. The Reverend Thomas DeWitt Talmadge was a member and preached at the church. Originally part of Franklin Township and named Bloomington, South Bound Brook was incorporated as a borough by the New Jersey Legislature in 1907. In the mid-1970s a teen from the town created a plan for an environmental commission and presented it to the council. James Manley got his commission and the first order of business was to find out what the white piles of waste on the tow path between the Delaware and Raritan Canal and Raritan River consisted of. It turned out to be 17% crystal asbestos by volume. Since there was no New Jersey State regulation for the disposal, this became a landmark case. The waste was hauled in dump trucks through Bound Brook to the floodplain south of West Main Street and dumped. A trail of asbestos dust led from the old dump site to the new dump location. The main downtown street in South Bound Brook, known as Main Street, has been refurbished with new sidewalks, lighting, signage and a number of newly renovated stores. A roofing material manufacturing facility known as GAF Manufacturing was located in South Bound Brook for over a century along Main Street. The site was dormant for about two decades and sat as an eyesore and reminder of the town's industrial past. New townhomes have been built on the GAF Manufacturing site, along the Delaware and Raritan Canal, which provide the downtown area a new modern look and many new residents. Part of the redevelopment is being held up by a lawsuit by John Fanaro of Fanaro Carpeting over the right of eminent domain, as the borough tried to seize property along Main Street that is in front of the new townhomes. The redevelopment plan called for the older stores to be razed and replaced with new stores that had parking in back and a dozen rental apartments on the second floor. A new condominium development along Elizabeth Street in the central part of town was finished in 2010. According to the United States Census Bureau, the borough had a total area of 0.755 square miles (1.955 km2), including 0.658 square miles (1.704 km2) of land and 0.097 square miles (0.250 km2) of water (12.81%). The borough borders Bound Brook, Bridgewater Township and Franklin Township in Somerset County; and both Middlesex Borough and Piscataway in Middlesex County. As of the 2010 United States Census, there were 4,563 people, 1,733 households, and 1,119.518 families residing in the borough. The population density was 6,933.8 per square mile (2,677.2/km2). There were 1,865 housing units at an average density of 2,834.0 per square mile (1,094.2/km2). The racial makeup of the borough was 67.19% (3,066) White, 10.10% (461) Black or African American, 0.13% (6) Native American, 6.14% (280) Asian, 0.04% (2) Pacific Islander, 11.83% (540) from other races, and 4.56% (208) from two or more races. Hispanic or Latino of any race were 27.28% (1,245) of the population. There were 1,733 households out of which 30.1% had children under the age of 18 living with them, 45.0% were married couples living together, 13.1% had a female householder with no husband present, and 35.4% were non-families. 27.6% of all households were made up of individuals, and 6.5% had someone living alone who was 65 years of age or older. The average household size was 2.63 and the average family size was 3.22. In the borough, the population was spread out with 21.4% under the age of 18, 8.5% from 18 to 24, 33.6% from 25 to 44, 27.6% from 45 to 64, and 8.9% who were 65 years of age or older. The median age was 35.6 years. For every 100 females there were 105.3 males. For every 100 females ages 18 and older there were 102.4 males. The Census Bureau's 2006-2010 American Community Survey showed that (in 2010 inflation-adjusted dollars) median household income was $78,427 (with a margin of error of +/- $6,959) and the median family income was $83,438 (+/- $13,065). Males had a median income of $61,042 (+/- $10,592) versus $44,063 (+/- $4,877) for females. The per capita income for the borough was $33,112 (+/- $3,774). About 1.0% of families and 1.8% of the population were below the poverty line, including 0.0% of those under age 18 and 8.0% of those age 65 or over. As of the 2000 United States Census there were 4,492 people, 1,632 households, and 1,103 families residing in the borough. The population density was 5,765.3 people per square mile (2,223.6/km2). There were 1,676 housing units at an average density of 2U.S. Census,151.1/sq mi (829.6/km2). The racial makeup of the borough was 78.01% White, 7.77% African American, 0.27% Native American, 4.10% Asian, 0.04% Pacific Islander, 6.57% from other races, and 3.25% from two or more races. Hispanic or Latino of any race were 22.89% of the population. There were 1,632 households out of which 31.3% had children under the age of 18 living with them, 51.0% were married couples living together, 10.8% had a female householder with no husband present, and 32.4% were non-families. 25.1% of all households were made up of individuals and 8.0% had someone living alone who was 65 years of age or older. The average household size was 2.75 and the average family size was 3.31. In the borough the population was spread out with 23.5% under the age of 18, 8.8% from 18 to 24, 36.2% from 25 to 44, 21.1% from 45 to 64, and 10.5% who were 65 years of age or older. The median age was 35 years. For every 100 females, there were 105.2 males. For every 100 females age 18 and over, there were 100.4 males. The median income for a household in the borough was $48,984, and the median income for a family was $58,214. Males had a median income of $36,955 versus $30,082 for females. The per capita income for the borough was $21,131. About 3.6% of families and 6.7% of the population were below the poverty line, including 5.5% of those under age 18 and 10.1% of those age 65 or over. The main attraction in South Bound Brook is the Delaware and Raritan Canal, which forms the northern and eastern boundaries of the town. The canal and its D&R Canal Trail are used for numerous recreational purposes from light boating to hiking and biking. Also of note is the Raritan River which lies on the far side of the canal and provides further recreational opportunities such as boating and fishing. The Queens Bridge crosses the canal and river, connecting to Bound Brook. The Raritan River Greenway is a proposed path that would link Branchburg Township to the East Coast Greenway with the Delaware and Raritan Canal trail in South Bound Brook. South Bound Brook is governed under the Borough form of New Jersey municipal government. The governing body consists of a Mayor and a Borough Council comprising six council members, with all positions elected at-large on a partisan basis as part of the November general election. A Mayor is elected directly by the voters to a four-year term of office. The Borough Council consists of six members elected to serve three-year terms on a staggered basis, with two seats coming up for election each year in a three-year cycle. The Borough form of government used by South Bound Brook, the most common system used in the state, is a "weak mayor / strong council" government in which council members act as the legislative body with the mayor presiding at meetings and voting only in the event of a tie. The mayor can veto ordinances subject to an override by a two-thirds majority vote of the council. The mayor makes committee and liaison assignments for council members, and most appointments are made by the mayor with the advice and consent of the council. As of 2016[update], the Mayor of South Bound Brook is Democrat Caryl A. "Chris" Shoffner, whose term of office ends on December 31, 2019. Members of the Borough Council are Council President Dennis Quinlan (R, 2017), Bruce Blumenthal (R, 2017), August Carlton (D, 2018), Kathryn M. "Katie" Kelly (R, 2016; elected to serve an unexpired term), James D. Murphy (R, 2018) and Anthony Timpano (R, 2016). In August 2015, the Borough Council selected Kathryn M. Kelly from three candidates nominated by the Republican municipal committee to fill the seat expiring in December 2016 that had been held by James Holmes until he resigned from office the previous month as he was moving out of the borough. Kelly served on an interim basis until the November 2015 general election, when she was elected to serve the one year remaining on the term of office. In 2005, Republican Mayor Jo-Anne Shubert resigned as Mayor of South Bound Brook a week before admitting that she had given a $35,000 no-bid computer contract to a company owned by her brother and where she was employed as an office manager. In 2010 and 2011, Republican Mayor Terry Warrelmann, was involved in a controversy involving his family and the borough's refusal to release police reports surrounding the incident. On July 9, 2010, John Paff, filed a lawsuit seeking the release of the documents. On December 17, 2010, New Jersey Superior Court Assignment Judge Yolanda Ciccone, sitting in Somerville, New Jersey, conducted a hearing on Paff's lawsuit. On March 31, 2011, Paff received a 79-page file containing the redacted versions of documents within that investigative file. The records show that Mayor Warrelmann, along with his son Stephen, Nancy Santora and an unidentified juvenile, were suspects in an investigation of a November 21, 2009, burglary of a shed in South Bound Brook. No charges, however, were brought against any of the suspects. South Bound Brook is located in the 12th Congressional District and is part of New Jersey's 23rd state legislative district. Prior to the 2011 reapportionment following the 2010 Census, South Bound Brook had been in the 16th state legislative district. Prior to the 2010 Census, South Bound Brook had been part of the 7th Congressional District, a change made by the New Jersey Redistricting Commission that took effect in January 2013, based on the results of the November 2012 general elections. For the 2018–2019 session (Senate, General Assembly), the 23rd Legislative District of the New Jersey Legislature is represented in the State Senate by Michael J. Doherty (R, Washington Township, Warren County) and in the General Assembly by John DiMaio (R, Hackettstown) and Erik Peterson (R, Franklin Township, Hunterdon County). The Governor of New Jersey is Phil Murphy (D, Middletown Township). The Lieutenant Governor of New Jersey is Sheila Oliver (D, East Orange). Somerset County is governed by a five-member Board of Chosen Freeholders, whose members are elected at-large to three-year terms of office on a staggered basis, with one or two seats coming up for election each year. At an annual reorganization meeting held in the beginning of January, the board selects a Director and Deputy Director from among its members. As of 2019[update], Somerset County's Freeholders are Freeholder Director Brian D. Levine (R, Franklin Township, term as freeholder ends 2020; term as freeholder director ends 2019), Freeholder Deputy Director Patricia L. Walsh (R, Green Brook Township, term as freeholder ends 2019; term as freeholder deputy director ends 2019), Brian G. Gallagher (R, Somerville, 2020), Shanel Robinson (D, Franklin Township, 2021), and Sara Sooy (D, Basking Ridge in Bernards Township, 2021). Constitutional officers elected on a countywide basis are County Clerk Steve Peter (D, Somerville, 2022), Sheriff Frank J. Provenzano (R, Raritan, 2019) and Surrogate Frank Bruno (R, Branchburg, 2020). As of March 23, 2011, there were a total of 2,354 registered voters in South Bound Brook, of which 655 (27.8% vs. 26.0% countywide) were registered as Democrats, 452 (19.2% vs. 25.7%) were registered as Republicans and 1,247 (53.0% vs. 48.2%) were registered as Unaffiliated. There were no voters registered to other parties. Among the borough's 2010 Census population, 51.6% (vs. 60.4% in Somerset County) were registered to vote, including 65.6% of those ages 18 and over (vs. 80.4% countywide). In the 2012 presidential election, Democrat Barack Obama received 60.6% of the vote (1,001 cast), ahead of Republican Mitt Romney with 38.0% (627 votes), and other candidates with 1.4% (23 votes), among the 1,664 ballots cast by the borough's 2,531 registered voters (13 ballots were spoiled), for a turnout of 65.7%. In the 2008 presidential election, Democrat Barack Obama received 961 votes (55.4% vs. 52.1% countywide), ahead of Republican John McCain with 725 votes (41.8% vs. 46.1%) and other candidates with 28 votes (1.6% vs. 1.1%), among the 1,735 ballots cast by the borough's 2,233 registered voters, for a turnout of 77.7% (vs. 78.7% in Somerset County). In the 2004 presidential election, Republican George W. Bush received 744 votes (51.3% vs. 51.5% countywide), ahead of Democrat John Kerry with 679 votes (46.8% vs. 47.2%) and other candidates with 17 votes (1.2% vs. 0.9%), among the 1,450 ballots cast by the borough's 1,882 registered voters, for a turnout of 77.0% (vs. 81.7% in the whole county). In the 2013 gubernatorial election, Republican Chris Christie received 67.0% of the vote (636 cast), ahead of Democrat Barbara Buono with 31.0% (294 votes), and other candidates with 2.0% (19 votes), among the 962 ballots cast by the borough's 2,583 registered voters (13 ballots were spoiled), for a turnout of 37.2%. In the 2009 gubernatorial election, Republican Chris Christie received 630 votes (56.0% vs. 55.8% countywide), ahead of Democrat Jon Corzine with 371 votes (32.9% vs. 34.1%), Independent Chris Daggett with 102 votes (9.1% vs. 8.7%) and other candidates with 10 votes (0.9% vs. 0.7%), among the 1,126 ballots cast by the borough's 2,337 registered voters, yielding a 48.2% turnout (vs. 52.5% in the county). 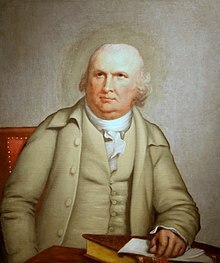 The South Bound Brook School District serves public school students in pre-kindergarten through eighth grade at Robert Morris School, named after Robert Morris, a financier of the American Revolution. As of the 2014-15 school year, the district and its one school had an enrollment of 632 students and 37.7 classroom teachers (on an FTE basis), for a student–teacher ratio of 16.8:1. For ninth through twelfth grades, public school students attend Bound Brook High School in Bound Brook, as part of a sending/receiving relationship with the Bound Brook School District. As of the 2014-15 school year, the high school had an enrollment of 551 students and 41.0 classroom teachers (on an FTE basis), for a student–teacher ratio of 13.4:1. The South Bound Brook Police Department is a 13-person department consisting of one Chief, two Lieutenants, two Sergeants, and eight officers on patrol. The Chief is Jeff Titus. The Police Department does not have its own dispatchers; South Bound Brook currently uses Somerset County Communications for all 9-1-1 and non-emergency calls. The South Bound Brook Fire Department has been in existence for over 100 years. They currently have four pieces of apparatus at their Edgewood Terrace Headquarters: One E-One Engine, one E-One 75-foot ladder, a new Seagrave Rescue/Pumper and one Chevy Suburban for a Chief's vehicle. Their Chief is currently Sean Lambertz. The South Bound Brook First Aid Squad was incorporated by their current name, then in 1990 became South Bound Brook/Franklin Township Rescue Squad. In 2002 the service area was cut back to just South Bound Brook, and the squad's name reverted to South Bound Brook First Aid Squad. The squad operates two ambulances from their Garfield Avenue headquarters, two Ford Type III Ambulances. The squad's water rescue and extrication equipment was sold after the 2002 change. The Chief of the South Bound Brook First Aid Squad is Wendy Franzishen. The squad responds to calls for EMS service on nights and weekends. Somerset Medical Center EMS Units take calls in South Bound Brook during the workday and weekends due to lack of volunteer personnel available. The South Bound Brook Office of Emergency Management was originally the Civil Defense Board, and then briefly called Disaster Control in the 1990s, the Office of Emergency Management is charged with Emergency Preparedness and Planning. They are also responsible for the emergency operations plan, which is updated yearly by all departments of the borough. During major emergencies, they play a significant role in recovery efforts. They are also charged with borough compliance in the National Incident Management System. The Emergency Management Director/Coordinator is Michael D. Allenovitch. The Abraham Staats House was built c. 1740 and served as the headquarters for General Baron von Steuben in 1779 during the second Middlebrook encampment of the American Revolutionary War. The house was added to the National Register of Historic Places in 2002, and noted as representing "one of the finest remaining buildings from the second phase of Dutch immigration and settlement in the Raritan Valley". Ukrainian Orthodox Church of the USA is headquartered in South Bound Brook. St. Sophia Ukrainian Orthodox Theological Seminary, St. Andrew's Memorial Church, and a large Ukrainian Orthodox cemetery right behind the church, where graves of many politicians from the Ukrainian People's Republic era can be visited, are located on the south side of the town. St. Andrew Memorial Church was built as a memorial honoring victims of the Holodomor and serves as the headquarters of the Ukrainian Orthodox Church of the USA. While South Bound Brook does not have the legacy of flooding that its sister town Bound Brook on the north bank of the Raritan River has, flooding can be a problem in South Bound Brook during major river flooding events, such as a 100-year flood event. In September 1999, the remnants of Hurricane Floyd caused a record flood crest on the Raritan River. While escaping the worst flooding, due to its elevated perch above the Raritan River, South Bound Brook did experience flood waters in the two- to three-foot range near the canal, including in portions of the downtown area along Main Street. As of May 2010[update], the borough had a total of 12.51 miles (20.13 km) of roadways, of which 9.01 miles (14.50 km) were maintained by the municipality and 3.50 miles (5.63 km) by Somerset County. County Route 527 is the most significant road to pass through South Bound Brook. Interstate 287, which provides access and connections to large parts of New Jersey and New York City, passes just to the southwest of South Bound Brook in Franklin Township, with two interchanges providing quick access to South Bound Brook. NJ Transit provides frequent train service on the Raritan Valley Line to/from Penn Station Newark and Penn Station New York via the nearby Bound Brook Train Station, which is about a five- to ten-minute walk from downtown South Bound Brook. NJ Transit bus service to and from the Port Authority Bus Terminal in Midtown Manhattan is provided on the 114 and 117 routes, with service to Newark available on the 65 bus line. See also: Category:People from South Bound Brook, New Jersey. Heidi Bohay (born 1959), actress and television host. Thomas H. Caffrey (born 1893), Wisconsin State Assemblyman. Tunis Craven (1813–1864), commanding officer of the USS Tecumseh, an iron-hulled, single-turret monitor, commissioned in 1864 and sunk in the Battle of Mobile Bay. After being hit by a torpedo (actually moored mines) the Tecumseh began to heel rapidly; and men scrambled to abandon ship. Comdr. Craven arrived at the foot of the ladder leading to the main deck simultaneously with the pilot, John Collins. Craven stepped back, saying "After you, pilot," thus permitting Collins to escape. His gallantry cost Craven his life, for the ship sank in a frightfully fast 25 seconds. Resident of South Bound Brook from approximately 1844-1864. Thomas De Witt Talmage (1832-1902), preacher, clergyman and divine, who was a member of the Reformed Church on Main Street in South Bound Brook. ^ a b Mayor and Council, Borough of South Bound Brook. Accessed August 1, 2016. ^ Municipal Directory, Borough of South Bound Brook. Accessed August 1, 2016. ^ a b 2012 New Jersey Legislative District Data Book, Rutgers University Edward J. Bloustein School of Planning and Public Policy, March 2013, p. 77. ^ U.S. Geological Survey Geographic Names Information System: Borough of South Bound Brook, Geographic Names Information System. Accessed March 14, 2013. ^ a b c d e f DP-1 - Profile of General Population and Housing Characteristics: 2010 for South Bound Brook borough, Somerset County, New Jersey, United States Census Bureau. Accessed February 14, 2013. ^ a b c d Municipalities Grouped by 2011-2020 Legislative Districts, New Jersey Department of State, p. 10. Accessed January 6, 2013. ^ a b c Profile of General Demographic Characteristics: 2010 for South Bound Brook borough, New Jersey Department of Labor and Workforce Development. Accessed February 14, 2013. ^ a b GCT-PH1 Population, Housing Units, Area, and Density: 2010 - State -- County Subdivision from the 2010 Census Summary File 1 for New Jersey, United States Census Bureau. Accessed February 14, 2013. ^ Look Up a ZIP Code for South Bound Brook, NJ, United States Postal Service. Accessed February 14, 2013. ^ Zip Codes, State of New Jersey. Accessed August 30, 2013. ^ Area Code Lookup - NPA NXX for South Bound Brook, NJ, Area-Codes.com. Accessed August 30, 2013. ^ A Cure for the Common Codes: New Jersey, Missouri Census Data Center. Accessed October 30, 2012. ^ Table 7. Population for the Counties and Municipalities in New Jersey: 1990, 2000 and 2010 Archived 2013-05-20 at the Wayback Machine, New Jersey Department of Labor and Workforce Development, February 2011. Accessed February 14, 2013. ^ a b Snyder, John P. The Story of New Jersey's Civil Boundaries: 1606-1968, Bureau of Geology and Topography; Trenton, New Jersey; 1969. p. 225. Accessed October 25, 2012. ^ Honeyman, Abraham Van Doren. Index-analysis of the Statutes of New Jersey, 1896-1909: Together with References to All Acts, and Parts of Acts, in the 'General Statutes' and Pamphlet Laws Expressly Repealed: and the Statutory Crimes of New Jersey During the Same Period, p. 262. New Jersey Law Journal Publishing Company, 1910. Accessed October 7, 2015. ^ A Note About Places, from From Voices of Raritan Landing, backed up by the Internet Archive as of October 1, 2011. Accessed October 7, 2015. ^ Hutchinson, Viola L. The Origin of New Jersey Place Names, New Jersey Public Library Commission, May 1945. Accessed October 7, 2015. ^ Gannett, Henry. The Origin of Certain Place Names in the United States, p. 53. United States Government Printing Office, 1905. Accessed October 7, 2015. ^ Our Mission, Abraham Staats House. Accessed May 17, 2011. ^ Snell, James P. History of Hunterdon and Somerset Counties, New Jersey, p. 666. Everts & Peck, 1881. Accessed November 15, 2015. "A bridge across the river at this place was ordered built by an act of Legislature passed in 1728. It was not erected however until 1731 for a supplementary act was passed that year in reference to it. It was afterwards called the Queen's Bridge The present bridge was built in 1875 at a cost of about $75,000." ^ Somerset County - Historic Places, NJ Town Guide. Accessed August 27, 2013. ^ Monsport, Welson. "The Battle of Bound Brook", New Jersey Skylands. Accessed August 27, 2013. ^ The Battle of Boundbrook. Accessed May 17, 2011. ^ Areas touching South Bound Brook, MapIt. Accessed February 3, 2015. ^ Compendium of censuses 1726-1905: together with the tabulated returns of 1905, New Jersey Department of State, 1906. Accessed August 30, 2013. ^ Porter, Robert Percival. Preliminary Results as Contained in the Eleventh Census Bulletins: Volume III - 51 to 75, p. 99. United States Census Bureau, 1890. Accessed February 14, 2013. ^ Thirteenth Census of the United States, 1910: Population by Counties and Minor Civil Divisions, 1910, 1900, 1890, United States Census Bureau, p. 338. Accessed February 14, 2013. ^ Fifteenth Census of the United States : 1930 - Population Volume I, United States Census Bureau, p. 718. Accessed February 14, 2013. ^ a b c d e Census 2000 Profiles of Demographic / Social / Economic / Housing Characteristics for South Bound Brook borough, New Jersey, United States Census Bureau. Accessed February 14, 2013. ^ a b c d e DP-1: Profile of General Demographic Characteristics: 2000 - Census 2000 Summary File 1 (SF 1) 100-Percent Data for South Bound Brook borough, Somerset County, New Jersey, United States Census Bureau. Accessed February 14, 2013. ^ DP03: Selected Economic Characteristics from the 2006-2010 American Community Survey 5-Year Estimates for South Bound Brook borough, Somerset County, New Jersey, United States Census Bureau. Accessed February 14, 2013. ^ Cerra, Michael F. "Forms of Government: Everything You've Always Wanted to Know, But Were Afraid to Ask" Archived 2014-09-24 at the Wayback Machine, New Jersey State League of Municipalities. Accessed November 30, 2014. ^ 2016 Municipal Data Sheet, Borough of South Bound Brook. Accessed August 1, 2016. ^ Somerset County Directory 2016, Somerset County, New Jersey. Accessed July 31, 2016. ^ a b Somerset County - General Election November 3, 2015 Winning Candidates, Somerset County, New Jersey. Accessed July 31, 2016. ^ Somerset County - General Election November 4, 2014 Winning Candidates, Somerset County, New Jersey. Accessed July 31, 2016. ^ Somerset County - General Election November 5, 2013 Winning Candidates, Somerset County, New Jersey. Accessed July 31, 2016. ^ Borough Council July 14, 2015, Regular Meeting Minutes, Borough of South Bound Brook. Accessed August 1, 2016. "Letter of resignation from Councilperson James Holmes. Councilperson Holmes is moving out of town effective August 1st." ^ August 11, 2015, Regular Meeting Minutes, Borough of South Bound Brook. Accessed August 1, 2016. "As discussed, three names were submitted for the vacancy on Council. Kathryn Kelly was chosen to fill the unexpired term. Motion by Councilperson Quinlan to appoint Kathryn Kelly to fill the unexpired term, seconded by Councilperson Timpano, discussion. Roll call vote taken, all ayes. Ms. Kelly is sworn in by the Borough Clerk and takes her seat at the Council Table." ^ Hemenway, Chad. "NEW LOOK FOR SOUTH BOUND BROOK: Redevelopment brings rebirth to determined community", Courier News (New Jersey), September 24, 2006. Accessed May 17, 2011. "'Basically, we tried to reinvent the town,' said former Mayor Jo-Anne Schubert, who made redevelopment a rallying cry of her 10-year political tenure in the borough until her resignation in October 2005." ^ "OPRA Request: Borough of South Bound Brook", New Jersey Libertarian Party Open Government Advocacy Project. Accessed January 22, 2015. ^ Deak, Michael. "Libertarian party organization chair's lawsuit seeks file possibly involving South Bound Brook mayor's relative", Courier News, July 26, 2010. Accessed January 23, 2015. "John Paff, chairman of the Libertarian Party Open Government Advocacy Project, filed suit in Superior Court against the borough and Borough Administrator Donald Kazar. Paff is contending he should have been given the report about the investigation that may have involved a relative of Mayor Terry Warrelman." ^ Paff v. Borough of South Bound Brook, New Jersey Libertarian Party Open Government Advocacy Project. Accessed January 22, 2015. ^ 2017 New Jersey Citizen's Guide to Government Archived 2017-04-07 at the Wayback Machine, p. 64, New Jersey League of Women Voters. Accessed May 30, 2017. ^ a b 2011 New Jersey Citizen's Guide to Government, p. 64, New Jersey League of Women Voters. Accessed May 22, 2015. ^ District 23 Legislators, New Jersey Legislature. Accessed January 22, 2018. ^ Elected Officials, Somerset County, New Jersey. Accessed February 24, 2018. ^ Brian D. Levine, Freeholder Deputy Director, Somerset County, New Jersey. Accessed February 24, 2018. ^ Patricia L. Walsh, Freeholder, Somerset County, New Jersey. Accessed February 24, 2018. ^ Brian G. Gallagher, Freeholder, Somerset County, New Jersey. Accessed February 24, 2018. ^ Shanel Robinson, Freeholder, Somerset County, New Jersey. Accessed January 7, 2019. ^ Sara Sooy, Freeholder, Somerset County, New Jersey. Accessed January 7, 2019. ^ Steve Peter, County Clerk, Somerset County, New Jersey. Accessed February 24, 2018. ^ Frank J. Provenzano, Sr., Sheriff, Somerset County, New Jersey. Accessed February 24, 2018. ^ Frank Bruno, Surrogate, Somerset County, New Jersey. Accessed February 24, 2018. ^ a b Voter Registration Summary - Somerset, New Jersey Department of State Division of Elections, March 23, 2011. Accessed February 14, 2013. ^ GCT-P7: Selected Age Groups: 2010 - State -- County Subdivision; 2010 Census Summary File 1 for New Jersey, United States Census Bureau. Accessed February 14, 2013. ^ "Presidential General Election Results - November 6, 2012 - Somerset County" (PDF). New Jersey Department of Elections. March 15, 2013. Retrieved December 24, 2014. ^ "Number of Registered Voters and Ballots Cast - November 6, 2012 - General Election Results - Somerset County" (PDF). New Jersey Department of Elections. March 15, 2013. Retrieved December 24, 2014. ^ 2008 Presidential General Election Results: Somerset County, New Jersey Department of State Division of Elections, December 23, 2008. Accessed February 14, 2013. ^ 2004 Presidential Election: Somerset County, New Jersey Department of State Division of Elections, December 13, 2004. Accessed February 14, 2013. ^ "Governor - Somerset County" (PDF). New Jersey Department of Elections. January 29, 2014. Retrieved December 24, 2014. ^ "Number of Registered Voters and Ballots Cast - November 5, 2013 - General Election Results - Somerset County" (PDF). New Jersey Department of Elections. January 29, 2014. Retrieved December 24, 2014. ^ 2009 Governor: Somerset County, New Jersey Department of State Division of Elections, December 31, 2009. Accessed February 14, 2013. ^ 2016-2017 Somerset County Public School Directory, Somerset County, New Jersey. Accessed May 19, 2017. ^ District information for South Bound Brook Public Schools, National Center for Education Statistics. Accessed December 7, 2016. ^ Somerset County School Districts - Sending / Receiving / Regional, Somerset County, New Jersey. Accessed July 23, 2017. "BOUND BROOK PreK-12 RECEIVES 9-12 FROM SOUTH BOUND BROOK"
^ "Local Government Budget Review: Borough of Bound Brook Board of Education", New Jersey Department of the Treasury, February 1999. Accessed September 8, 2014. "The neighboring town of South Bound Brook sends 110 students to the Bound Brook High School on a tuition paying basis." ^ School data for Bound Brook High School, National Center for Education Statistics. Accessed December 12, 2016. ^ a b Public Safety, Borough of South Bound Brook. Accessed August 30, 2013. ^ Peterka, Amanda. "Somerville, Raritan considering switch to county dispatcher", Messenger-Gazette, March 21, 2010. Accessed July 29, 2013. "According to Bill Stahl, chief of communications for the county's system, the county's 30 dispatchers provide full services for six municipalities: Branchburg, Bedminster, Peapack-Gladstone, Far Hills, South Bound Brook and the newest, Montgomery." ^ History, South Bound Brook Fire Department. Accessed February 14, 2013. ^ About Us, South Bound Brook First Aid Squad. Accessed February 14, 2013. ^ Greiff, Constance M. (December 4, 2002). "NRHP Nomination: Staats House". National Park Service. ^ AN OUTLINE HISTORY OF THE METROPOLIA CENTER OF THE UKRAINIAN ORTHODOX CHURCH OF THE USA, Ukrainian Orthodox Church of the USA. Accessed May 2, 2012. ^ Somerset County Mileage by Municipality and Jurisdiction, New Jersey Department of Transportation, May 2010. Accessed July 18, 2014. ^ Bound Brook station, NJ Transit. Accessed August 21, 2015. ^ Somerset County Bus/Rail Connections, NJ Transit, backed up by the Internet Archive as of May 22, 2009. Accessed August 30, 2013. ^ King, Richard. "Her dreams near reality on 'Hotel'", The Free Lance–Star, December 17, 1983. Accessed October 28, 2009. ^ "Members of the Assembly", Wisconsin Blue Book, 1935. Accessed January 27, 2014. ^ Tecumseh, Dictionary of American Naval Fighting Ships. Accessed May 17, 2011. Wikimedia Commons has media related to South Bound Brook, New Jersey. This page was last edited on 22 March 2019, at 23:41 (UTC).